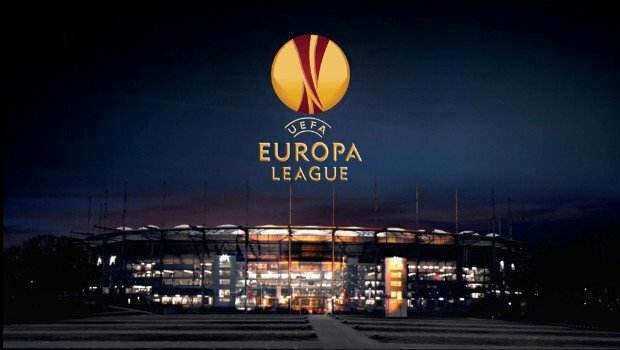 This week sees the second legs of the Europa League qualifying play-offs, the final round of matches before the group stage begins in September. 44 teams from across the continent will be battling it out to secure their place in the competition. This is the second year in a row in which these two sides have met in qualifying. West Ham were knocked out by Astra at the third round stage last year and they struggled in the first leg in Romania last week. Captain Mark Noble put the Hammers ahead in the first half but the Romania champions drew level in the 83rd minute, meaning that it is all to play for in the second leg at West Ham’s new home, the London Stadium. United boss Slaven Bilic rested a number of first-team players for the first leg, with youngsters such as Reece Oxford and Sam Byram starting, as well as summer signings Jonathan Calleri and Gokhan Tore. Bilic has said that he will field as strong a team as possible for the second leg, but with the Hammers facing a tough trip to Manchester City on Sunday, it is unlikely to be a completely full-strength team. Nevertheless, the London club are odds-on favourites to get the job done at home, particularly as their away goal means that Astra have to score. They are 4/11 with William Hill to win on the night, while Astra are best-priced at 9/1 with Betfair to win the second leg. Maccabi head to Croatia with a slim advantage after winning 2-1 in the first leg at the Netanya Stadium, their temporary home for this season. However Hadjuk Split did score a crucial away goal, which means that they will go through if they win 1-0. Hadjuk have not made a great start to their domestic campaign, though, and have lost their last two home league games. Maccabi, who were in the Champions League last season, will be confident of progressing but they will have to do so without one of their key men, Tal Ben-Haim, who provided the assist for the winner in the first leg but is suspended for this one. This tie is finely poised and the betting odds reflect that. The Israeli side are slight favourites at 13/8 with Betway to win on the night, while Hadjuk are 9/5 to win at home. A draw on the night is currently 9/4 with NetBet. Austria Vienna looked like they would be taking a comfortable lead into the second after two goals in as many minutes had given them a 2-0 lead at home, but a stoppage-time goal from defender Tore Reginiussen has given Rosenborg hope. The Norwegian side are currently 12 points clear at the top of the Eliteserien, which begins in March, and look to be heading for a second consecutive domestic title, so they can afford to devote their full attention to this game. They have also won their last 13 competitive games at home, so they will certainly be confident of overturning the slim deficit. Despite Austria Vienna winning the first leg, the Norwegians’ excellent home record means that they are fancied by the bookies to qualify (4/5 with 10Bet). The Austrians, meanwhile, are 11/2 with Betfair to win on the night. Having been 2-0 up in the first leg, Genk will have been disappointed to end up drawing in Zagreb, but they still hold the upper hand in the tie with two away goals and home advantage. The Belgian side have only lost one of their last 20 competitive home games and reached the knockout stages of the Europa League three seasons ago, while this is the furthest that Lokomotiva have ever reached in the competition. Genk are 1/2 with William Hill to win the second leg, while a draw – which would most probably see Genk through – is 18/5 with Betway. If you fancy the Croatian side to show the fighting spirit that they showed in the first leg and pull a historic victory, they are 13/2 with bet365 to win on the night and 24/5 with 10Bet to qualify. For a wide range of markets across all of this week’s Europa League qualifiers, head to NetBet now!